Touted as the most sought after designer in Bollywood, Manish Malhotra has created an indelible impression in the women’s fashion segment. One can understand the exclusivity of his workmanship when they take a look at the Manish Malhotra collection that is ready for viewing on his website www.manishmalhotra.in. An extremely famous fashion designer, Manish Malhotra sari collection is something that every woman would want to die for. Such is the beauty that he brings into the design of the six yard wonder. You would have definitely seen majority of the Bollywood divas in Manish Malhotra designs. He has gained so much of popularity owing to his unique style and his unique capability to envision the character’s look. His work’s exquisiteness garnered all eye balls when he designed costumes for Urmila Matondkar for her movie Rangeela. This movie also brought him the Film Fare award in Costume category. He made all the Bollywood heroines look ethereal in his creations. Dilwale Dulhaniya Le Jayenge, Dil Toh Pagal Hai, Kuch Kuch Hota Hai, Kaho Na Pyaar Hai, Dhadkan…the heroines of all this super hit movies have worn his creations. Manish Malhotra clothes have become an unsurpassable brand synonymous with femininity and exquisiteness. Manish Malhotra dresses and Manish Malhotra designer sarees have great demand in the elite circles. Through his costume designing he has also revolutionized the bridal wear. Manish Malhotra bridal collection 2011 is a simple sample teaser of his creativity. If anyone has modernized wedding wear without compromising or giving up on the traditional quotient, then it is definitely him. His vast repertoire of clients come from the national and international elite circles for he has successfully styled many women in an extremely diffusion range…in Manish Malhotra suits, Manish Malhotra kurtis, and Manish Malhotra bridal wear. Whenever there is a special occasion, women would definitely want to turn out in their best outfits, make heads turn in their direction with their styling. And Manish Malhotra collection does just that for them! High profile industrialists, politicians, global corporate, affluent families, film personalities make up his clientele. It is indeed surprising to note that he embarked into Bollywood through designing for Swarg, Juhi Chawla starrer which is more than two decades now since its release. And probably that has been just the beginning and no looking back at all. Very soon he went on to become a coveted brand that every woman dreamt of having in her wardrobe. He continues to enjoy that star status…a status that has been endowed to him by his loving clients; a status which he earned through his intelligence, hard work, and diligence. Of course one should not forget the forethought he has in the fashion arena. It is the courage to do something out of the box and creative that has put him in this great stead. He took a deep plunge into mainstream designing through Reverie…his very own high profile couture store, the Manish Malhotra store. This has only increased his list of clients as it received a thumping and tremendous response. His first fashion show happened in the year 1999 in November wherein he played vigorously with the Indian traditional colours and embroideries and textures to create extremely glamorous ensembles. 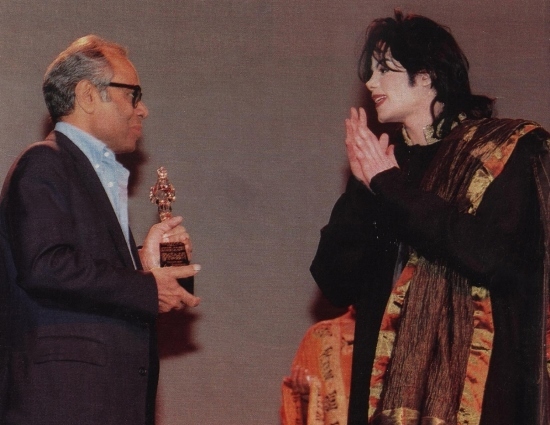 His popularity hit its peaks when he designed clothes for Michael Jackson while he was touring in India. His list of international clientele includes names like Reese Witherspoon, Van Damme, Kylie Minogue and many more. He has been garnering more and more customers as his work was speaking leaps and bounds. He received a lot of acclaim in the international fashion circle too. Whether national or international, he has always given his brides and bridegrooms something that looked unique for their momentous occasion. 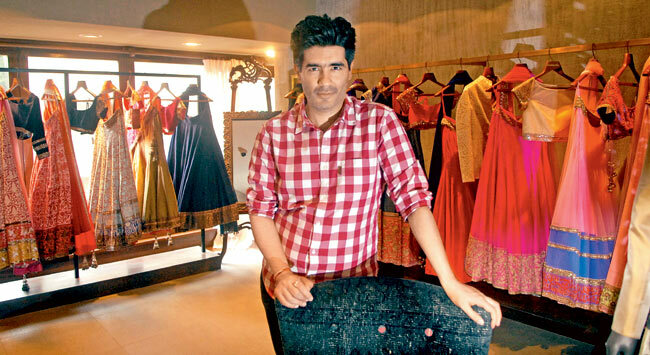 Manish Malhotra fashion designer has become a cult, a tradition in the country and across the globe too for the kind of magic he weaves through his styling. If your big day is fast approaching you need to take a look at latest Manish Malhotra collection which will make you look absolutely ravishing in an effortless manner. And yes, not to miss out on the Manish Malhotra wedding collection to look unique and absolutely stunning for the actual moment! All his collections…spring or summer or autumn or winter…they are absolutely beguiling and he has opened the Lakme Fashion Week ‘n’ number of times so far with great aplomb. It has been known through reliable sources that he wishes to spread his wings through his brand globally. And why not! Glamour and opulence…these two elements are found in abundance in all of Manish’s creations. Lakme Fashion Week is one such platform where close to 100 designers showcase their collections extensively on the runway. And his works have every time without exception enthralled the audience. He has the record of doing the maximum number of shows in LFW too! When it comes to fashion, there is no arena that he has left unexplored. And with every Lakme Fashion Week, the bar for his standard is only being set higher and higher. He has something or the new to captivate his audience through his works, styles and designs. Well, if you thought Manish Malhotra boutique offers only for women, then you are totally mistaken. He designs for men too and he has a serpentine list of popular male names who are his faithful clients. And there is a new entry into his list of clients. You may be wondering as to who it could be! It is none other than Arpita Khan’s son, Salman Khan’s nephew. Manish Malhotra designed an outfit for Salman’s nephew’s first Iftar party. Arjun Kapoor and Jacqueline Fernandez have been a part of the Manish Malhotra show and walked the ramp as show stoppers in the show. 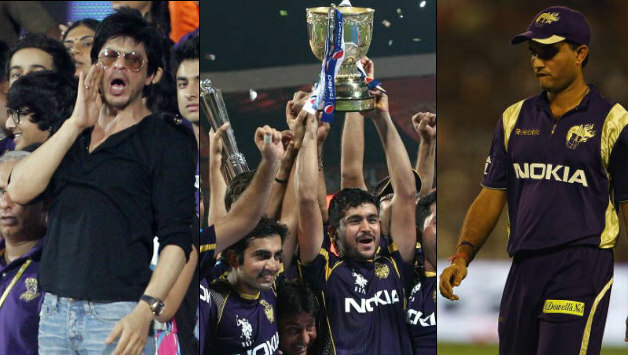 Apart from designing for the fashion industry and films, he has also designed the cricket team gear for Kolkata Knight Riders that is owned by his friend Shah Rukh Khan. He also has made his mark in the hospitality and fashion segment by styling for the upmarket leisure properties that are located in New York and Mumbai. He also made his entry into the jewellery line by designing a pair of diamond ear rings for Forevermark…paving way for Manish Malhotra jewellery collection. He has the knack to maintain that extremely delicate balance between designing for haute couture and designing for films. He has in fact been extremely instrumental in bringing Indian styling and clothes to the international fore. Manish Malhotra has contributed so much to spread the culture of our country globally through his exquisite works. We can catch one of his best friends say, “Manish Malhotra designs dreams”. Yes, it is a compliment paid by Farah Khan for the ace designer. He has also gone on a drive to promote the workmanship of the rural and regional handicrafts of the country. He has more than 6 lakhs followers on Twitter and more than one million likes on FB. Isn’t this man a sensation in the field of Fashion? He definitely is! In short, the man has re-defined fashion and has created the Manish Malhotra fashion. Visit Manish Malhotra website to learn more about the latest about his collections.